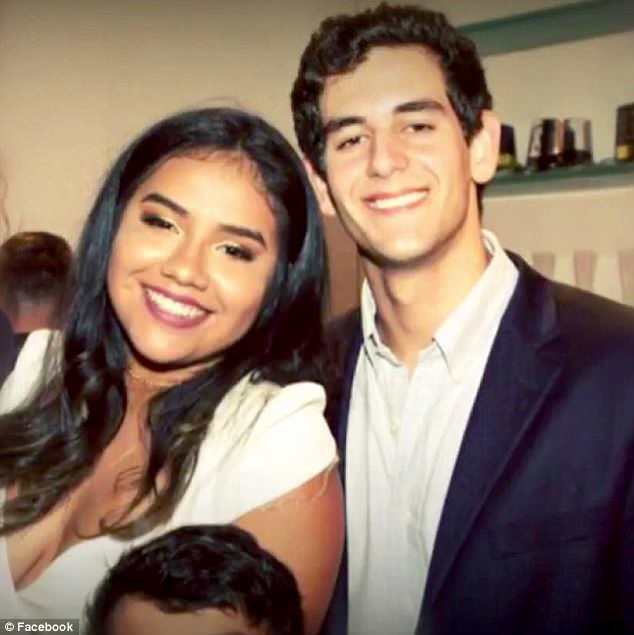 The grieving family of a Florida teenager who was killed when a bridge collapsed at the FIU campus in March have given fresh details about how she died. 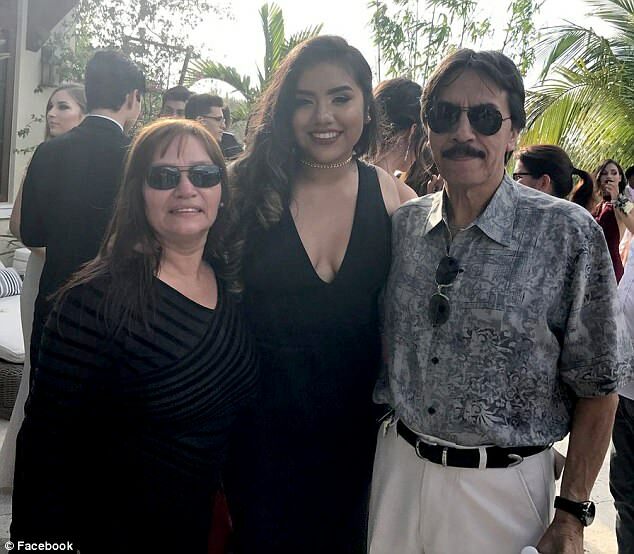 Alexa Duran, 19, was one of six people who died when the pedestrian bridge suddenly gave way and fell onto cars on March 15. She was a student of the university and was driving her father's Toyota 4Runner at the time. Her grieving parents have now told that the impact of the bridge was so strong it 'flattened' their daughter until her body was as 'thin as a cracker'. The only parts of her that survived were her belongings; an iPhone, a hair tie, a quarter, a toll pass, two wrinkled dollar bills, a black leather choker, a necklace, a ring, a sorority keychain and her driver's license. They were put in a paper bag and given to her mother Gina. 'This is what they handed to me. They handed me my daughter in a freaking paper bag,' she told The Miami Herald this week. Since the accident on March 15, the family have not touched anything in Alexa's bedroom. They are still unable to unlock her iPhone and they have not been able to bring themselves to speak to Richard Gamble, the passenger she had with her in the car who survived. Richard attended a memorial service for Alexa and shook the parents' hands but has not spoken to them. 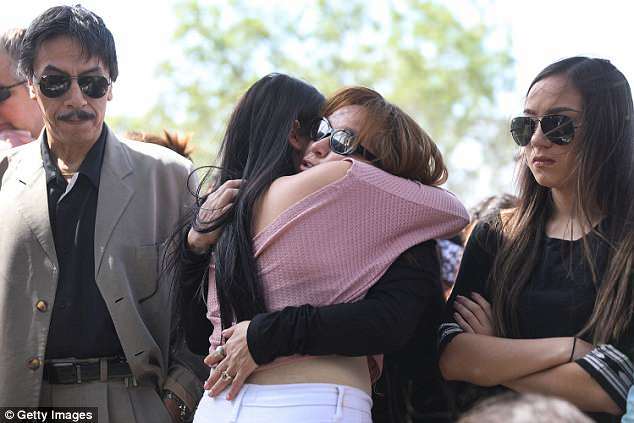 On the day of the bridge collapse, Gina begged her daughter not to go to campus and asked her to instead stay with her to help at the family's dry cleaners. She insisted on going because she had an appointment with a guidance counselor. 'My daughter’s body came back as flat and thin as a cracker but her iPhone survived without a single scratch,' she said. Alexa had been injured so severely that her father could not look at her body, he said. 'As a father I felt like I had the responsibility of my household to at least identify her. But I couldn’t do it. I couldn't open it. .... I’m a coward,' he said. They are desperate to get into the phone but do not know the passcode their daughter set. Apple has told them they need a court order to unlock it and even if they were able to obtain one, the company said it can only access whatever Alexa uploaded to iCloud before she died rather than unlock the phone. 'Opening this phone will give me a glimpse into my baby’s last moments. What was she thinking? What was her last selfie? Anything. Anything,' Gina said. They have decided to keep it in a box under her pillow in order to preserve the data until they can figure out how to access it. Alexa's father has been coping with his grief by sending her phone text messages every day. They have not washed her clothes since she died because they are desperate to keep her smell, her mother said. 'I can't let her smell get away. This is all I have left,' Gina said. The towels Alexa used on the morning of the accident remain unwashed, her bed is still unmade and her room has not been changed. She keeps strands of her daughter's hair in a box. 'I took them off her brush, bed, shower, bedroom floor, anywhere. I loved her hair. It was so thick and pretty,' she said. Now the family have to go about the agonizing task of filling her position at the dry cleaners which they have owned since she was three. Her mother explained that she kept the books and was meticulous about it, leaving a large void now. 'She started working here when she was a toddler, taking out stains with a little toothbrush. I remember taking her for a ride in the laundry bins,' her father said. 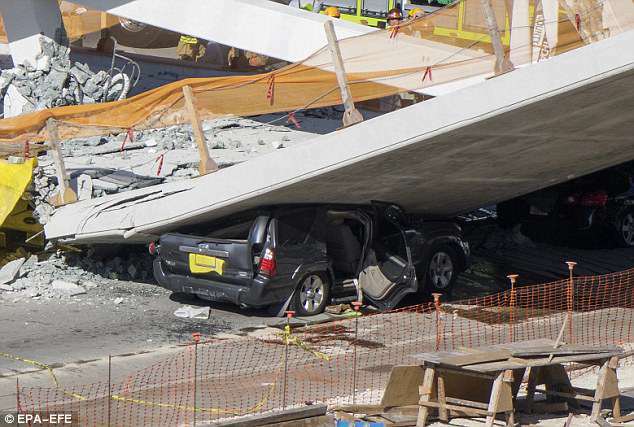 The exact cause of the bridge collapse remains unclear but concerns center on cracks which appeared in one of the support trusses 10 days before it was put into place. Alexa's family say they plan to launch a wrongful death lawsuit once the mandatory notice period of 180 days, which their lawyers must honor before filing a suit against the university and the university, have passed. Gamble, who survived the crash in the passenger seat, paid tribute to her separately. He has filed a lawsuit against seven companies which were involved in the bridge's construction. 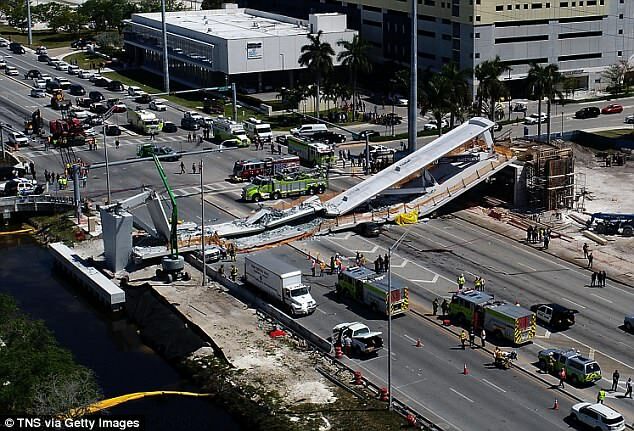 It reads: 'Upon the impact of the collapsed bridge, Mr. Humble was physically struck by portions of the vehicle and bridge, as well as the injured body of the driver of his vehicle. Despite describing the incident in detail in his lawsuit, Richard has not yet given Alexa's family a detailed account of her final moments alive and they are desperate for it. 'I understand the pain and shock Richard must be in, but he’s really the only person who can give us closure. 'We haven’t spoken since it all happened, and all he would say is "I don’t know, I don’t know,'" her father said. They said the pair were dating and that their daughter would dress up for him. 'She really liked him. She bought so much clothes. She wanted to dress up for him. They would talk in the car in the driveway late at night as we peeked through the blinds,' Gina added. They want him to tell them what their final conversation was about, if their daughter was in a good mood or if she was mad and generally inform them about her 'last day on earth'.